Mr. 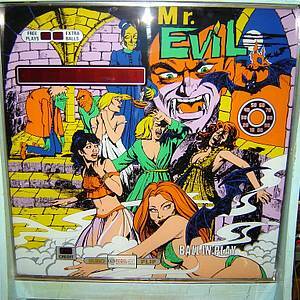 Evil is a pinball machine from 1978, manufactured by Recel S. A. Manufactured by Recel S. A.
Unusual,rare,and unpopular games you would like to own. Or own.